This is a minor patch that covers some issues that we didn't get around to in v1.01. Patches for other CM titles coming soon! * Commanders of German 2nd and 3rd grenadier rifle platoons have higher ranks. * Organic 81mm mortar teams in German Parachute platoons and companies can now be called for indirect fire through the support tab. * FIXED: Some US airborne infantry rifle squads would start split by default. * Mac Only: Artillery confirmation chatter is now audible. * FIXED: Game would always start with shaders turned off. * FIXED: Sometimes units would path incorrectly around water. * Springfield M1903 texture improved. Is anyone else having problems installing the Pc patch? I have tried every which way I can think of; antivirus on and off; mod folders in and out etc. It gives the appearance of installing but when I try to launch it just brings up a message saying that FB has stopped working. I take out the installed folder and 1.01 seems to work fine. Can't remember there being a problem with previous patches. Can you expand on that? 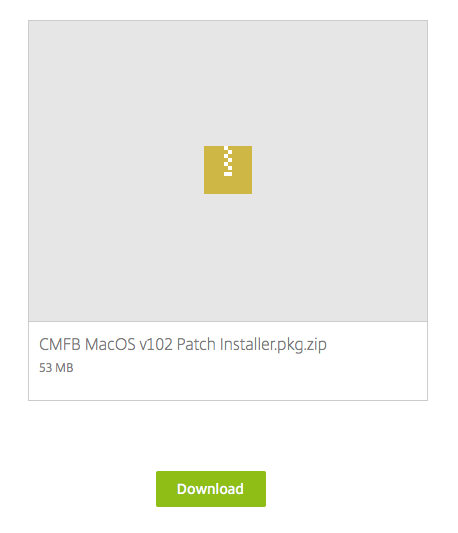 When I read that I picture a sub directory under the regular CMFB install that contains just the patch contents so that when you delete it you are back to where you started. If that is correct then it means your patch was installed inside a sub directory of the game not on top of the game like it should have been. The installer should find your install path but if it does not it might stick an extra sub directory on the path. For example on my system I have the game installed at C:\Programs\CMFB101 and I typically moved it or renamed it so the patch installer cannot guess the path so when I pick the right path for my system depending on how I do it the path might end up being C:\Programs\CMFB101\Combat Mission Final Blitzkrieg and I have to manually delete the "Combat Mission Final Blitzkrieg" part. Make sure the path the installer chooses is the directory where the game .exe is located. We're looking into it, but Ian is correct. There are conditions in which the installer won't find your installation directory and instead winds up making its own directory. James, to immediately fix your problem what you need to do is move the files from that errant sub directory and put the EXE in your CMFB folder (overwriting the one that is already there) and the BRZ into the Data folder. That should do the trick, I think. What about fixing Sherman gunner position when firing HMG after opening hatch? I remember BF pointing out the dearth of officers and how it was common for NCOs to lead platoons (which it was, at least in Normandy) - why the change; to reflect the influx of "fresh" men? What I was hoping to see, thanks so much guys! I don't think that was addressed, but it could have been and simply wasn't marked. Nah, 2nd and 3rd Platoons were by design senior NCOs since before the war. Only a very few formation types deliberately had officers in all platoons (Aufklärung? I forget). The thing we fixed is that more junior NCOs were staffing some positions instead of the correct senior NCO rank. A very minor tweak to be sure. Indeed, thanks for the quick response. I know what you're talking about, a lot of shoulder board insignias with only a small white border leading platoons struck me as odd. No issues on my patch install. Thanks for the quick patch! Just in time for the change in seasons, right before the plunge into the winter months. have to manually delete the "Combat Mission Final Blitzkrieg" part. Make sure the path the installer chooses is the directory where the game .exe is located. Thanks Ian, that did it. Initially followed Ian's advice and that did the job. Some nice fixes included in this patch. If I do say so, myself. No fix for the teleporting mine issue that snuck past the other fortification fixes in 1.01? (TCP mode). When I tried to install it, I had the same issue noted before. I think what is happening is if you have the game installed somewhere else, it recreates the main folder. For example, my game is installed in C:\Games\Combat Mission Final Blitzkrieg. I pointed the installer to this directory and then I had the following after install: C:\Games\Combat Mission Final Blitzkrieg\Combat Mission Final Blitzkrieg. Just point it to C:\Games. The most significant change from a game play perspective is (surprisingly) undocumented. The maximum range at which some AT guns can be spotted has been reduced substantially, and is even shorter if they do not move or rotate after setup. When placed in trenches even 88s can remain unspotted at ranges under 1 km. Hi @Vanir Ausf B, is that just affecting ATGs or perhaps any kind of deployable heavy weapon? The actual content may be v1.02 - not run it yet to find out - but the file names are still shown as v1.01 .... ? Is it actually the new patch, or is the link still delivering the previous version? Tried again ... worked this time! Must be me ... sorry! ATGs, infantry guns and anti-aircraft guns. To the best of my knowledge machine guns and mortars are unaffected, but they have never been difficult to keep hidden, IMO.